Can you take it higher? Of course you can! 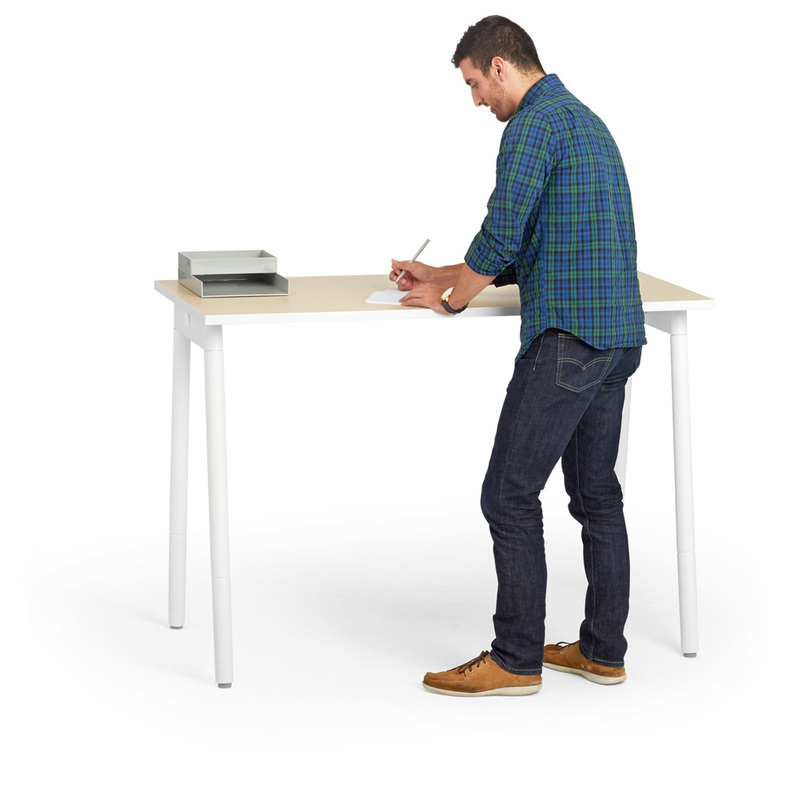 Our Series A Standing Single Desk for 1 provides a place for standers, meeting-havers, or anyone who likes to get a little high. With clean design and tons of ways to personalize your space, the agile Series A Desk System is designed to move with you. The Series A Standing Single Desk for 1 ships in 4 boxes with a total weight of 114 lbs (47"W desk tops) or 127 lbs (57"W desk tops).